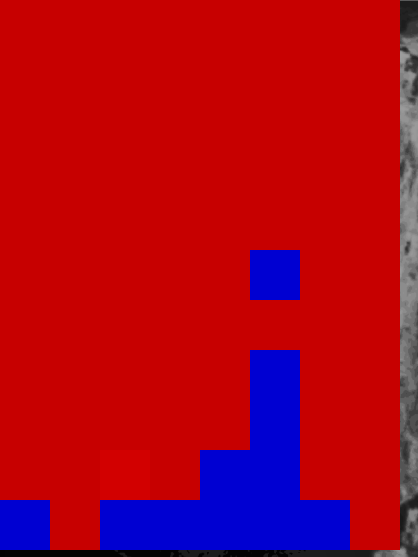 Am making use of sliding/rolling window technique to devide the input image into equal chunks of given size so for that am making use of following function to devide image into specified window size. So, this function returns me the window of specified size lets say 50x50 along with its base cordinates in dictionary format. But problem is suppose I pass down the image of any odd size like 968x885 then spliting equal size chunks of size 50x50 will left some odd boundary pixels at the end of the image , the resuling image after first round of sliding window looks something like below. As we can see above , the pixels at right side are not chunked into window coz it's < 50x50 window size. So what i want is to modify rolling_window function in order to form seperate window chunk for remaining pixels in every possible row/column. So how to achieve this. Also, I have updated this question as have a function to calculate 3D histogram for given image window , so after updating the above window function I am able to get all the remaining chunks of the windows but it thows me exception while calculating the 3D histogram, here function. # how many pixels do we need to get an additional window ? Thanks for your answer, but i have just edited my rolling_window fun. just see my question, but it throws me exception when I get 3D color histogram of that. the exception is: "Assertion failed (j < nimages) in histPrepareImages" , I have added the 3D histogram func. in my question pls see that as well. sorry, but i don't see any code related to histograms, and the error seems unrelated. last, i don't see any reason, why you have to make a (quite complicated) list of windows before iterating. and tbh, i don't quite understand that code. your histogram problem should go into an entirely seperate question, imho.